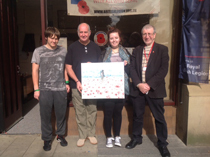 A South Cheshire College art student has donated a painting inspired by the Poppy Appeal to Crewe Royal British Legion (RBL). 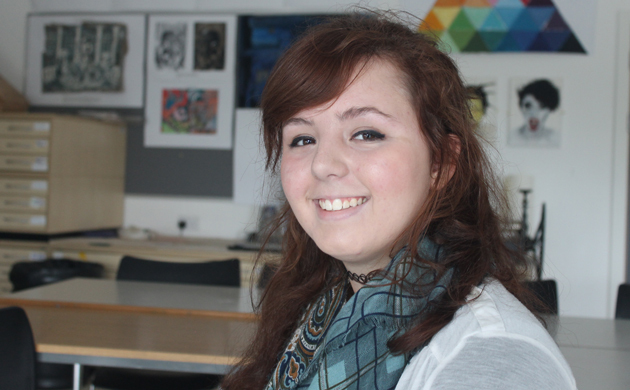 The work by level three art and design BTec learner Leah Parker, aged 16, depicts a lone soldier walking through a field of poppies. She donated £30 to this year’s Poppy Appeal along with the painting which will go on permanent display in the Crewe RBL headquarters.